New Year resolutions have us full of motivation and optimism. If you’re a pet owner, resolutions can be extra fun and meaningful if you share them with your furry friends. Daily exercise is important for a healthy lifestyle and can help prevent your pet from becoming overweight. At least 30 minutes of exercise per day is ideal for dogs, and at least 20 minutes for cats. Exercising and playing with our pets is a great way to stay fit, have fun and bond with each other. Plus, our pets can help motivate us to get off the couch! Find something new to teach your pet. You could train them to sit, come when called, fetch, high-five, go to their mat/bed, or lots of other things. Training is a great way to give your pet mental stimulation while they learn new skills and manners. Click here for tips on training your pet. And don’t forget, cats can be trained too! Training should always be a positive experience where you and your pet can learn, grow and have fun together. Remember to always praise and reward your pet for good behaviour – a technique known as positive reinforcement training. It is crucial that you never punish your pet for doing the wrong thing or not doing what you have asked. Punishment is not an effective training method and can cause fear and distress. A healthy diet can also help prevent your pet from becoming overweight. Your vet will be able to suggest a suitable diet for your pet based on their individual needs. Most of your pet’s diet should consist of a good-quality commercial dry food. Click here for more information about what to feed your dog or cat. A bit of variety can make things more exciting for you and your pet. Visit a new place (as long as it’s pet-friendly, of course), vary the route of your dog’s walk, buy a new toy to play with, try a new game, or bake home-made pet treats that your dog or cat hasn’t tried before. There are lots of ways you can help a homeless pet. One of the biggest ways you can change a shelter pet’s life is by adopting a dog or cat. But if you aren’t in a position to adopt, you can still make an equally-big difference by fostering, volunteering, donating or spreading the word among your family, friends and colleagues about shelter pets in need of new homes. If you’re not ready to welcome a new pet into your home, make the pledge to adopt. You will be pledging to support pet adoption when the time is right for you, opting to give a second chance to a homeless shelter pet, rather than supporting cruel puppy farms or unethical backyard breeders. Up-to-date identification, including a microchip, plus a collar with an ID tag and council registration tag, will give you the best chance of being reunited with a lost pet. Don’t forget to update your details with the microchip registry if they change. 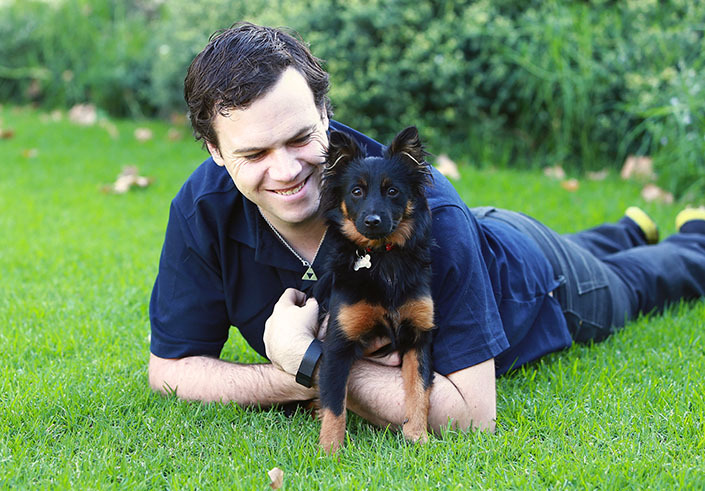 For more information about microchipping and pet identification, call National Pet Register on 1300 734 738. Make a note on your calendar to mark the dates that your pet’s flea and worming treatment, and vaccinations are due. That way, those dates won’t catch you by surprise and you won’t accidentally miss them. If you aren’t sure when these treatments or vaccinations are due, speak with your vet or make an appointment at our Frank Samways Veterinary Clinic.